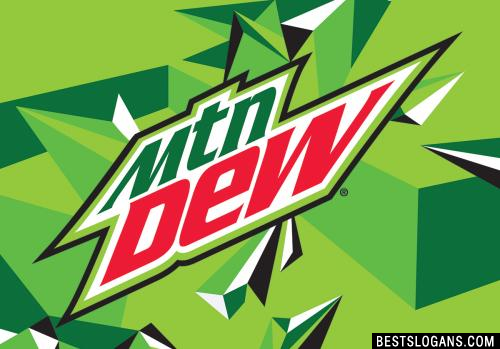 19 new entries added to mountain dew slogans, that include pictures. 1. Thar's a bang in every bottle! 1 Thar's a bang in every bottle! 3 Do you have a little Dew in you? 6 Do you do the dew? We dew. 8 Dew it Country Cool. 18 A dew a day keeps the doctor a way. Can you think of a good Mountain Dew Slogans we're missing? Or come up with a clever one of your own. Please share below.